No Accounting for the End of the World? Jacob Soll’s book “The Reckoning: Financial Accountability and the Making and Breaking of Nations” makes a good case for economic progress being firmly based on the ability to account for that progress. Although he does not show direction of travel (or cause to effect) with certainty, there is a common sense from his historical analysis from ancient Greece to more recent times in the theory that progress is based partly on an ability to undertake double-entry book keeping. This measures progress but also provides the degree of transparency that ensures “buy-in” from society. This may not be a riveting “eureka” moment for many and Soll’s dallying with more metaphysical comparisons about the debits and credits of a good life being reflected by the righteous in the way that good businesses and people (like Josiah Wedgewood of pottery fame who not just promoted cost accounting but used the principle of accounting to balance their sins and good deeds) do their accounting is somewhat stretched. However, there seems ample evidence that at both a corporate / organisational and national level, economic progress is assisted greatly by the ability to count your profits and losses – to show how progress is being made. Soll refers to corruption in the past that resulted from both poorly kept accounts (at corporate and national levels) and those clever enough to hoodwink auditors and investors through manipulation of accounts. From the analysis, it is clear that investors need good data to make informed decisions and that citizens need to know how governments spend their money – not just for the sake of transparency but to provide worthwhile and useable information. In the majority of developed nations, corporate accounting is subject to GAAP (generally accepted accounting principles) or equivalent; in other countries there is a wide disparity of accounting standards or a lack of them – in Afghanistan, it will hardly be a surprise that there is no accepted principle of accounting and very few qualified accountants from there. Despite the developed world’s professional standards, this does not prevent disasters on the scale of the 2007-8 banking crisis or Enron or a host of other “accounting” failures. Often, auditors don’t see the problems and may even see them and do nothing. On a national basis, the same is true. While it is hard to judge the efficacy of national accounts (which are the subject to revision for many years), it is hard to believe that any country which does not work hard to make its national accounts transparent is one where real economic progress is being made or where opacity is not hiding something sinister. Back in 2010, Global Witness highlighted this in its report “Oil Revenues in Angola” which documented the problems that Sonangol (Angola’s state oil and energy company which was then considering a public stock listing) had in reporting its revenues. That report, one of the few independent reports in a sector that is riven with corruption, argued for greater transparency, improved systems and independent auditing to the highest standards for an organization through which Angola’s wealth derives. Soll would argue that its secrecy and lack of transparency and independent auditing shows all the hallmarks of a corrupt society. But, pressure on Sonangol to provide more and better information (better accounting) is a key approach. Numerous, other examples exist in many countries – many where natural resources exist that should benefit the population but where the “resource curse” is made possible by lack of proper accounting to high standards, properly audited and verified. Similarly, the Dodd-Frank Act in the USA opened up country-by-country reporting to reveal how much revenue was entering such countries. The USA (and hopefully with the EU to follow) are attempting to go around the opacity of nations (and their lack of accounting capability) to find the real accounting data through those that have that ability and are subject to our own norms of accounting – the major energy companies. In this way, good accounting may be accessible by the back door to show citizens of the affected nations just how their Governments provide for them (or don’t). A recent example of this is shown by an analysis made by Richard Murphy (the progenitor of country by country reporting) on recent data issued by Barclays Bank. It shows, through analysis of that data, how Barclays shields its profits from the UK Exchequor. Value accounting – can we properly Account for Natural Resources? One of the latest “opportunities” for accountants is accounting for natural resources – our natural capital. It is believed that if we make up a balance sheet of all our assets (and liabilities) then we will better know by valuing them what impact we are making on them. We naturally sympathize with a society that is striving to understand its failings and what to do about them. There is no question that if it was possible for governments (nationally and internationally) to properly assess value in our natural capital, then we could (somehow) impose some sort of value adjustment to problems caused by companies and governments when doing the things they do that adversely impact our natural capital or trade-off costs and benefits and make better decisions. Calculate the monetary value of Scotland’s natural capital and the cost of depleting it. This will involve coordinating experts including accountants, people from business, academics and policymakers. Communicate to a broad range of businesses and other stakeholders the risk of depleting Scotland’s natural capital and the huge economic value from protecting and enhancing it. The calculation of that value and the link between that and effective action are major challenges. This is because the pricing mechanism for such resources does not exist. Accounting is based on the ability to reach a value determination on goods and services. It is not always right but much of double entry book-keeping methodology is based on market prices – the prices actually paid for goods and services. Market prices provide information on those goods and services that allows a profit and loss account and balance sheet to be derived. Now, even existing and well understood basic accounting is often flawed or wide open to judgement. An example from the recent past: in the days of high inflation, companies (that anyway provide accounts that are usually out of date by the time a user receives them) were encouraged to undertake inflation-based accounting in addition to actual costs. Oil companies still provide two sets of accounts (one takes the data back to the latest oil prices). Which is correct? Neither (although only actual costs are used by taxation authorities)– but, they may be aids to better informed decisions. Accounts are always an approximation of reality. So, for example, accounts show labour costs (the costs of people who work in a business or organization) as costs. Yet, of course, people are only recruited to add value. Unfortunately, there is no balance sheet valuation of the benefits that they can provide. Back in the 1970’s, it was fashionable to consider whether people should have a value assigned to them on the Balance Sheet (much like footballers used to be valued on the Balance Sheets of football clubs). This proposition lasted only a short time and people are not valued on a balance sheet – except in those companies with traded shares where “goodwill” (the difference between the stock value of the company and its balance sheet value) contains an undefinable figure for people. Google’s share price (usually viewed as a multiple of earnings – its P/E which is currently around 30) takes account of its extraordinary people talent – but, in a way that the market is willing to trade – a form of market pricing. When the accounting mechanism is brought to natural capital, it is much harder to “account” for it – there are limited pricing mechanisms. At a micro-level, companies can provide information on where their natural risk lies (e.g. how they source materials upon which they survive, where the risks are and what they are doing about it) but some of this is pricing, much of it is risk analysis. From the latter (just like any risk analysis) actions can be taken to minimize risks and maximize opportunities. Companies also produce “externalities” – they impact the environment, for example, through CO2 emissions, use and abuse transportation systems, can destroy environments. So, clean-up costs need to be established when developing projects along with the minimization of health hazards and environmental degredation. Governments in many countries can work with businesses to save the environment and recast it. In the developing world, this is harder. Many instances occur whereby companies ravish areas of natural beauty and poison locations with the side effects of their production processes and do not pay the consequences. This is often a corrupt bargain but becomes the norm where natural resource extraction and its “value” overcomes the perceived value given to those dependent for their lives and health on the land: from China to DRC, from mining to forestry. The key problem is linking the micro activities to the macro (governmental) responsibility for the environment. The notion of valuation at least focuses the mind. The question is whether valuing natural capital (and the wide range of – usually erroneous – assumptions that have to be made in a non-market priced environment) is useful and whether such valuations can be used to make decisions – even whether there is a use for such decisions on a quantity basis at all. For decisions based solely on price (where all the risks are not taken into account) will be wrong except where there is a market-based pricing formula available (and, of course, perfect pricing relies on perfect information on both sides – which never occurs). We can “see” how Barclays used low tax jurisdictions (see the TJN report referred to above) to shield profits and decisions can, in future, be made as a result. Valuations of natural capital are far more tenuous. The drive to valuing our “natural capital” in business jargon (through pricing) is centering our attention on this critical area. However, at this early stage of natural capital ideas development (although not at an early stage in the degradation of the planet) we should be understanding what we want out of it. What if all the alligators in the world were to be destroyed because enough people were willing to pay the price for alligator skin handbags and shoes? Would this be acceptable because we “paid the price”? Clearly not as the value of preserving such an animal is not easily factored into the price – who assesses it and who sets it when the “value”of having alligators is unpriceable. That is why ivory sales are (in the main) banned. There is no price allowed in the system for the elimination of elephants from our natural environment – we have made a collective decision to try to stop it rather than pricing it. This suggests that the “value” placed on part of our “natural capital” is not quantifiable in business terms – even if the costs of certain degradations (and “externalities”) are. Not only do we need to ask the right questions, we have to start with the answers we want or the history of Easter Island is just repeated on a massive scale. There is a place for good accounting – and good accounting should know its place. Ethical Lens goes on to report on Integrated Reporting as one of the ways that business is reporting on wider social issues. It is interesting to re-read Eric Hobsbaum’s “Age of Extremes” about the world between 1914 and 1991, where he refers to John Maynard Keynes’s focus on macro-economics (virtually his invention) and that national estimates of the size of an economy were not developed until after the Second World War probably with an eye to the USSR. Eric Hobsbaum, Age of Extremes. The World Forum on Natural Capital took place in Edinburgh from 21-22 November 2013. This was around 18 months after the Natural Capital Commission was set up in England – see my earlier note on this. Set up collaborative projects to deliver tangible action to protect and enhance Scotland’s natural capital. Now, I am sure that all those accountants, business people, academics and so on are completely transparent about the not just perceived benefits but also the pitfalls of accounting for natural assets. I hesitate to criticize my own profession (yes, I am a qualified accountant) but the relatively simple task of accounting for profits, business assets, transfer prices, taxation, royalties, inflation, shareholder value and the myriad of other pricing mechanisms is an industry in itself. Valuations of properties and land values (land which is marketable) are very difficult; valuations of anything is except in key market driven areas. So, before we consider whether everything should have a price, can everything be priced? Well, maybe it is time to be a little cynical. The Greek Cynics such as Diogenes believed that humans should be rid of worldly goods and live as close to nature as nature intended. To them, “natural capitalism” would be a paradox and if the word “cynic” has been usurped to mean one who distrusts others’ motives (a somewhat jaded negativity), then it is still worth us having a good look before we hurtle into the world of valuing nature – purportedly to enable it to survive. The problem for us all is that we (humans) seem to respond automatically to numbers. Whether it is GDP or wages and salaries or league tables or baseball and cricket statistics or KPI’s or health targets or bankers’ bonuses, the human mind seems to adopt numbers as the common language. This has had ridiculous consequences. We now actually believe that Gross Domestic Product calculations are a real and meaningful simulation of the value of our existence. We may note that GDP rose when the BP oil spill was in the headlines because of the way that GDP is counted. We may know that GDP rose enormously when the Viet Nam War was in full flight – a rise in our prosperity at the time when so many were dying. We may note lots of things and then discount the “knowing” as we allow our brains to consider only the number. Just like economic theory is a very poor simulation of reality, using numbers to simulate life is very difficult and a very poor approximation of reality. Pricing is in the eye of the beholder. When there are many of the same item and large numbers of buyers, then prices can be developed that (at a particular time) can be adjudged reasonable. A day later and the price will change; a bit more demand and the price may rise if the supply stays the same or there is no alternative; a bit less demand and the reverse – all other things being equal (which hey never are). Yet, pricing is the underpinning of the marketplace and serves its purpose – allowing us to satisfy demand through the pricing mechanism. Where it is less workable is where the market is not large enough or where the item being priced is unique. For a work of art, this does not matter too much. Such a work of art as the Francis Bacon triptych which recently sold for $142m or the $58.4m for a Jeff Koons painting potentially hurts no-one but the wealthy buyer should the price collapse overnight. Anyway, no one will be revaluing these works until they are re-sold. While the loss to public exhibition may be a shame (if they are kept locked away) it is not a tragedy. For our natural capital, there is a different set of criteria. Traditionally, major projects have used a form of cost-benefit analysis. Prices or costs are provided to each part of a project and the benefits calculated overall. In this way, countless projects (corporate and public sector) are continuously appraised. Recently, the HS2 rail project proposal in the UK has been treated in this way. HS2 is a plan to link London to the north of England by a £50 billion investment programme (which some think will rise to £80bn) – to speed up rail links and to provide much more capacity. In this way, it is believed that significant benefits will accrue to the northern towns (although many see the benefits accruing to London as more northern towns become commuter towns for the capital). His paper warns against the simplistic tendency of cost-benefit analysis – its atomistic view of the world (a world of numerical opinions – usually slanted towards where the answer is directed to be). The alternatives to simplistic cost-benefit analysis include one (the precautionary approach) that approximates to Nassim Nicholas Taleb’s antifragility proposition – or at least an approach tending to resilience. The inclusion of natural phenomena and the benefits that accrue from them into a numbers game is a tremendous risk. It suggests that we hurtle towards some valuation methodology because we are caught up in the spirit of pricing everything. Yet, we don’t hesitate enough to consider the ability of the valuers (those who make the key assumptions which drive the computations) – which include those who work backwards from decisions they want taken to those who are inadequate in their assumptive judgements. It is normal for large projects to overrun in terms of cost by two to three times and most large projects overrun substantially on timescale. This means that basic projects cannot be properly valued – how difficult is it to put a price on our natural capital and use those calculations in determining how we use the natural resources / capital? It is not our ability to compute that is at question – it is a mix of our ability to ask the right questions, to set the right assumptions and to reason on a qualitative basis. The sectors involved in developing natural capital accounting and using them for decisions are naturally coming at this from different directions. The private sector, especially large companies naturally concerned about the long-term sustainability of their businesses, need to evaluate their impact on the environment and on their raw material base in order to see their long-term survivability. This is an essential survival tactic in a world with limited access to natural resources and where it is understood by companies that their customers are also taking impact on environment (for example) seriously. For almost all businesses, taking account of natural capital is a fundamental need of the 21st Century marketplace but should not be seen as companies becoming primarily societally driven. Accounting for natural capital wherever possible is a natural go-to for business. It sets up an accounting mechanism which, after all, is the basic language of business and which can be used for decision-making and for influencing those decisions internally and externally. The external decision-makers are citizens – local, regional, national and international – often (not always) represented by the public sector (and, in many countries, misrepresented). The problem for people (us) is, of course, fundamentally different to those of businesses that are fighting for long-term sustainability and want to manage their use of resources (and look for substitutes) and help the marketplace to view them as 21st Century businesses that are aware of society’s needs. Accounting for natural capital can help to do that. Citizens (however grouped) have another consideration – the quality of life outside the quantity of goods and services that they can buy. Quality of life includes good air to breathe and a sustainable climate – items not quite on Maslow’s hierarchy of needs or developed in his basic needs structure – which was, after all, originally developed for business marketing purposes. Government (local, regional, national and international) is our representative – tasked with managing our natural capital to our benefit (along with private owners). The key question is whether Government understands that the issues are not just about how business remains sustainable (a world dominated by GDP) but how the quality of life is sustained for all of its citizens. While this includes key quantitative factors such as economic well being, that is not all. To citizens, the environmental impact of business misuse is not just an “externality” that needs to be costed into business decisions. These so-called externalities are central parts of our existence. 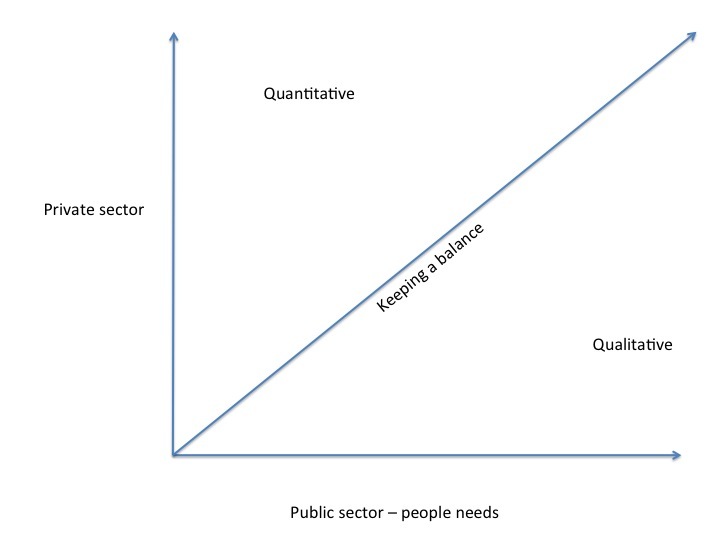 So, one of the key questions is how to develop a framework that incorporates the requirements of the two sectors – private and public (here being used to define what people need) and the issues of quantity and quality. Keeping that balance is the key – we should not be overly dependent on the numerically calculative approach as that leads to more goods and services but a natural environment that is depleted not just of raw materials but also the naturally occurring benefits on which life depends. We cannot completely guard our natural capital either – as that will deprive us of needed goods and services. Counting the costs and benefits of natural capital may assist in some ways to prolong sustainable business but real leadership on behalf of all of us should understand that counting is a tool – only to be used in certain situations and only as an aid to considered thinking – the use of our human brains in determining qualitative outcomes. Tom Standage’s book “The Victorian Internet” describes how the mass of wired communications – the telegraph – changed the developing world – (http://www.amazon.co.uk/Victorian-Internet-Tom-Standage/dp/0753807033/ref=sr_1_1?s=books&ie=UTF8&qid=1347191394&sr=1-1). As did Gutenberg’s printing press around 1450, the telegraph, the telephone, the fax, the mobile phone and now the internet and the world wide web continue to transform our ability to communicate and miscommunicate – instantaneously. There is no question that technological development races onwards. The human race has a special ability to make extraordinary progress in scientific research and understanding and in the application of that through engineering into products that transform the way we live. The technological advance is propelled by the “marketplace” – where supply and demand perpetually force change. As we continue to make enormous gains in technology, our ability to keep up with the excesses of the market (market waste) is almost the opposite. It seems that we react late to technological advancement – delays that can cause inconvenience but also (at the extreme) loss of life. Inconvenience: the UK awaits the Leveson Commission report into phone-hacking – the use of technology by certain newspapers to obtain salacious stories on (mainly) celebrities. Newspapers are closed, criminal prosecutions are under way and the possibility that press freedom will be curtailed. Loss of life: the destruction of our environment through global warming (CO2 emissions and the potential for vast amounts of methane to be released by the rapidly melting glaciers) is a direct result of technology and manufacturing’s use of fossil fuels. It could prove just as damaging (or more) than the technology and development of weaponry that fuelled the two World Wars of the 20th Century. The slow lane is inhabited by politicians and civil servants that exist in a variety of slow lane decision-making arenas. These could be democracies; they may be legalist governments such as China. The slow lane is inhabited by the “mechanics of government” or “Market Governance Mechanisms” (MGM)– “governance”. Since the development of governing institutions, those in government have continuously sought to control technology and its effects. From the control of counterfeiting (as in Newton’s day or now), developing health and safety standards, maintaining arms control, to reducing environmental degradation, people have put their faith in governments’ ability to manage the sweep of technology. Time after time, technology has been at the forefront and governance has been slow to catch up. Aesop’s fable of the tortoise and the hare had the tortoise winning, but while the hare of technology can be tamed, it is continuously ahead of tortoise governance and, in the global economy we now inhabit, will extend that lead. It is only where governance is centralized and total (such as in Japan prior to the Treaty of Kanagawa in 1854 or where the government may be theistic such as with the Taliban) that the market is not allowed to exist at all and technology is starved. As soon as market forces allow, the pace quickens. China is a recent example of a centralized, legalist state that remains in control but has opened up the marketplace – totalitarianism plus capitalism. Of course, the rise of technology is a serious threat to governance stability in China. This is exacerbated by world-wide communications technology that provides comparisons with the rest of the world to every region. This comparative data spreads the world on what is available and draws everyone to want the same – more products and the latest technology. The hare merely passes on the baton to the next hare. The question of how Governance reacts to the market is being played out constantly. Whether it is the forlorn approach of international Governance to environmental issues or national Governance reaction to the internet or any number of other interactions, Governance and the governing seeks to manage technology and the effects of technology. The rationale for Governance (and control) over technology is based on a mandate from the public (whether by vote via manifestos or on a perceived basis – as in China or a theistic basis or historic basis as in most of the Middle East). This mandate often runs against the market – and many, for example, Tea Party libertarians in the USA, believe that Government should play no part whatsoever in managing the market. They do not believe that Government has a role to play at all. This Ayn Rand view of the world, the most extreme market view of governance, believes that the “invisible hand” will provide the right result. So, should technology be subject to control? Is this two-speed race real? The answer has to be “yes” – but an acknowledgement that it is a race would be a start. Then, we may be able to establish some of the rules: rules which enable the development of products and technology while ensuring that the trade-offs that we have to endure are sufficient to allow us (and other life forms) to continue to survive. The marketplace works best when there is an identifiable demand and an ability to supply. This is the basis upon which economics exists. The market, however, is but one aspect of our lives and the market cannot dictate whether a particular form of animal life is allowed to survive or whether desertification is made worse in Sudan, for example. These are typical market externalities and the market appears to have no answer to such difficult outcomes. These are outside the market and the invisible hand assumes that they can be dealt with as externalities – and forgotten. These externalities, or market anomalies, are where non-market forces reside. Much of this is the responsibility of market governance; some of it is charitable work or non-market, voluntary activities. However, technology is primarily (at least in the 21st Century) market driven (as opposed to driven by government spending on defence, which brought into play technological advances in the 19th and 20th Centuries). The race that technology exists to fight is one of material “progress” (advances in health care, biotechnology and the like are within this area) where there is a defined demand. Governance is then required to sweep up behind in ensuring that the advances or changes in technology are suitable or genuinely advantageous. (2) There are serious world-wide technological implications – changes that impact regions and the world – not just nations. The problems get bigger as the intersection of the marketplace and governance is mainly concerned with economics, not externalities. Yet, this may be the biggest problem concerning mankind. Working out how to properly manage the interaction between the marketplace and governance in terms of market externalities while allowing for competition (the essence of the market and the progenitor of technological change) may well be the biggest challenge we have. If capitalism is the norm – and through this the market economy – what role has governance of the market – nationally and internationally? Can institutions that are already in place (such as the WTO or UN Conferences on the Environment or IAEA or any number of international institutions that operate today (see: http://www.genevainternational.org/pages/en/55;International_Organisations) keep up with the market whilst enabling or at least allowing the best of what the market does to flourish? Is it even possible for the market – now on a global scale – to be centrally managed to the extent that externalities that we all pay for in terms of health and safety and maybe inter-generational catastrophes of the future can be in any meaningful way properly be taken into account? Or, are there self-organizing principles that guide human evolution and probably guide our economic and technological progress which work and negate the need for any central institutions? To repeat: the governance of market externalities may well be the major challenge that mankind has to bear. Already, we may be dangerously close to bequeathing future generations with a challenge that may be unwinnable. Libertarians argue that we will ensure that technology and the market will find the solutions – a hope for the best approach that they believe will get us out of the Georgescu Roegen extravagance. However, the danger that the challenge will be beyond the capability of the marketplace is large enough for us to consider the consequences of failure. The fact that we can obtain information quickly and internationally does not help unless we can use the information and make decisions quickly. Governance mechanisms are the opposite. It now looks increasingly like 19th Century institutions are incapable of addressing the negatives that the marketplace throws up – unpriced externalities Maybe the only way to solve the problems of the marketplace is through using technology and self-organization on a local basis so that externalities are assessed and redressed as appropriate. This means that the role of international organizations would be to assist the process. Instead of not-for-profits like Witness (http://www.witness.org/) acting on their own to provide assistance to local groups (“See it, film it, change it”) it would be the role of large national and international institutions to enable local groups through technology. Markets are self-organizing but have created a degree of externality that is seriously and adversely impacting societies throughout the world. International governmental organizations are failing to come to terms with this. So, the role of national and international institutions has to be to equip and enable local groups – through finance and law changes but on a vast international scale. Just like companies and government work together to develop the markets, so governments and NGO’s /local groups should be working to develop externality solutions (with the companies wherever possible) but on an international basis. Research is ongoing such as at http://shapingsustainablemarkets.iied.org/ and sustainability in business is now a constant theme in best in class organizations. Those such a CIMA (Chartered Institute of Management Accountants – www.cimaglobal.com) have adopted sustainability and the role of senior management in delivering this for some time. Sustainability is the central mantra of organizations like Tomorrow’s Company (http://www.tomorrowscompany.com/) and the whole CSR movement. But, just like microeconomics and macroeconomics never come together, so the business by business approach and the international institutional approaches never seem to gel. Witness provides a great example of the ability of self-organization – governments, local, regional, national and international should now be harnessing the technologies to equip civil society to the same on a scale never before seen. Every national government should have an Externalities Minister – where such market problems are evaluated in total, practical help is provided to civil society to address the problems and genuine dialogue established with business. Governance and the markets would then be in the same race. “Olympus was not shaken by winds nor ever wet with rain, nor did snow fall upon it, but the air is outspread clear and cloudless, and over it hovered a radiant whiteness.” Homer, Odyssey. Today, the equivalent of the 12 Gods on Olympus are, maybe, the G-20, or G-2, or the UN or any of the international organisations that are set-up on our behalf. Or, maybe it’s closer to home – the national heads who make up the EU or the lesser number that make up the EZ; the 100 Senators in the US Congress. Or, maybe they are the 1% who own 40% of the earth’s assets (financially-speaking). Or, how about Forbes Global 2000 – the top 2000 of the world’s companies that, between them, account for $149 trillion in assets and employ 83 million people. This compared to McKinsey’s estimate of $212 trillion value of the world’s capital stock in 2011 – a huge percentage. The Greek Gods took their place after a war with the Titans – who ruled before them. Mythology into reality – our new Gods rule in much the same way after a 20th Century where totalitarian regimes fought each other, amongst each and against democratic nations in bloody conflict. Millions died in China, the Soviet Union, Europe, Vietnam, Africa, Indonesia and elsewhere as different theories of government battled for supremacy. Francis Fukuyama declared it “The End of History” as liberal democracy supposedly triumphed. We know now that he was wrong (as he has himself declared). For, the winner (for now) was not democracy but a form of capitalism that promotes a new set of god-like creatures and a new Olympus where the wind does not blow and the air is clear. This new capitalism – the complete dominance of quantity no matter what type of government is in power – was relatively bloodless in its conquests, but no less callous in its purpose. Indeed, its callousness is worse than before as it is merely the “invisible hand” that drives the marketplace that has led to the victory of the new Gods. Now, sitting upon the summit, surrounded by the icy slopes that let few into their circle, they can look down upon the rest in their eco-defended enclave. The titanic struggle was won on the back of the primacy of goods – developing the ability for ordinary people to secure their basic material needs and then onwards to “choice” and leisure and luxury. This has been wonderfully accompanied by the ability of business to promote their products so that demand could be developed without the consumer realizing it. This ability to influence demand (so brilliantly described in Galbraith’s “The Affluent Society”) has led to a victory of quantity over quality in the West and will do so elsewhere. The victory was made easier by Governments’ willingness to adhere to the 19th Century economic theories that made “growth” and GDP the concepts upon which all governing was placed – but, placed them in simulations which cannot reflect reality. Mathematicians and econometricians have extended the fallacy – we live for numbers. The evidence for this can be seen so well in Russia and China. For most of the 20th Century, both held out as anti-capitalist bastions as the world moved to strengthen democracy. 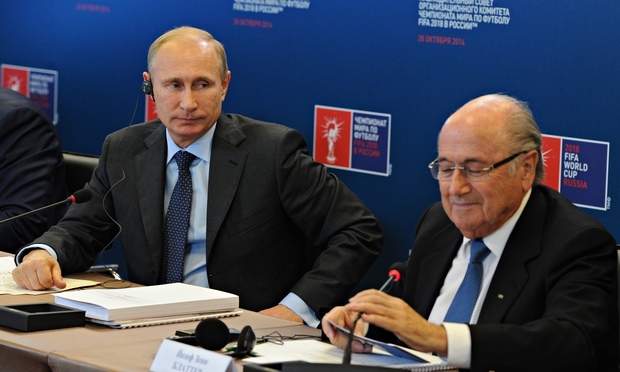 Neither has succumbed to democracy – Russia is a gangster-elite State, China is a legalist, centralized State. But, both yielded wholeheartedly to the market. Many argue that the democratic West won the war (as Fukuyama attempted to suggest) but this is wrong. The western form of liberal democracy with its desire to provide representative government, elections and low corruption levels (comparatively) as well as supposed access to education and upward social mobility is losing out. It is arguable that even in those countries that still pursue these ends, there is now a vastly worsening separation between rich and poor and a hardening of social structures – with far less mobility. In China and Russia, elites have won the war and their instruments of war have been capitalist – as their citizens climb up Maslow’s hierarchy of need from the very bottom, quantity of goods is supreme no matter how they are derived. As Jonathan Fenby describes in “Tiger Head, Snake Tails” this is, in China, despite rampant corruption, ecological degradation and vast differences in wealth between elites as well as complete indifference to the vast population when their houses are demolished to make way for new buildings or motorways (for example). Millions of lives were lost in the 20th Century as nations defended themselves against the onslaught of totalitarianism. But, a new totalitarianism has taken root right beneath our noses. It is the totalitarianism of the elites that control the markets – markets fed by a constant diet of GDP statistics and growth targets. The losers are (in Orwellian-speak) supposedly the winners – the mass of the population that has grown “wealthier” throughout the latter half of the 20th Century. So, it seems to be a benign revolution but the problems are becoming clearer by the day. In Greece, home to Mount Olympus, the country is in its fifth year of recession. In Spain, 24.6% of people are now officially unemployed. In most countries, the gap between the wealthy and the rest is growing steadily. Economic strains are now working their way around the system as growth (measured traditionally in 19th Century models) stalls outside of newly developing nations (yet, who believes the measures coming from China?). Today’s youth in the developed west are unlikely to be “wealthier” than their parents in pure GDP terms. But, we should not be focused on pure numbers. Economic growth is also threatening the ecology of the planet at an alarming rate. Whether or not fossil fuels are near their end, the effects on the planet are growing and recent changes to our weather patterns merely the first signs. Our damning footprint is ever more etched on the planet and real risks are emerging that the life styles we live now may not be available for long. As Rumanian economist Georgescu-Roegen surmised over fifty years ago, maybe we can’t change and will simply go out in a puff of smoke. Maybe, though, society will not, for ever, tolerate the new totalitarians, the new Olympians. Of course, nothing lasts forever. The Greek Gods did not survive (except in mythology) and neither will the current ones. The problem is that we are engrained with the belief that quantity is the key to good life (which it may be up to a point) and have lost a connection with what society is about. Mass production has led to greater wealth but, as Galbraith saw 60 years ago, society cannot be all about quantity. 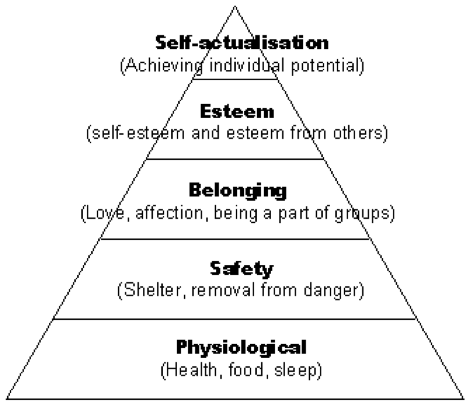 Maslow, developing his Hierarchy of Need as a marketing tool, expected that we would go beyond quantity to some form of self-actualization. We have definitely not managed that yet but we have some signs that societal self-actualization is possible. A major problem in the way of this is that different countries are at different stages of economic development. China has a massive population still well down the material scale and there will be no let-up in the leadership’s drive for “growth” to stem the dismay of their people on all other issues. In Africa, the longing for material wealth is as strong and who can blame them bearing in mind the economic and social torment they have suffered? So, initiatives like Zero Impact Growth being developed by John Elkington and his Volans company are worth considering. Experiment Innovators and entre­preneurs begin to experiment, a period of trial and error. Although the company has started its first inno­vation efforts and internal programs in certain sustainability areas and has developed initial policies and strategies, no concrete milestones and an overarching future vision have been defined yet. Enterprise Investors and managers build new business models creating new forms of value. The company has developed a short- to mid-term strategy ( ≤ 2020) for specific areas and has set measureable targets. Nevertheless, almost no long-term milestones have been defined. Furthermore, they do not communicate an over­arching future vision. Ecosystem Critical mass and part­nerships create new markets and institu­tional arrangements. Measureable, ambitious (zero) targets based on a mid- to long-term vision (≥2020) are set. Nevertheless, a conjoint approach and some collaborative aspects are still missing since the holistic zero impact growth vision has not been (fully) adapted. Economy The economic system flips to a more sustainable state, supported by cultural change. The company has fully adapted the zero impact growth vision. Measureable zero targets that have been adapted jointly are set out for each field of action. A clearly defined strategy is in place on how to achieve these targets, with defined short- and long-term milestones. The underlying benchmarks are clearly defined. Maybe there is some fight left and the reality behind the model is clear – we can’t fight the invisible hand but maybe there is a chance for society to develop some self-actualisation behind the corporate drive towards zero impact growth where the planet survives along with humanity. That doesn’t impact on the gap between the wealthy and the rest as the focus is on economics and sustainability. Inequality is as important a problem as ecology. Numbers should be seen for what they are – where money is one aspect of our lives not the only one. Demos, a UK think-tank has just published: Beyond GDP – New Measures for a New Economy. Two studies that show on this morning after that wonderful Danny Boyle-inspired Olympics night – where values were keenly shown as more than just money – that the slopes of Mount Olympus are slippery but not completely impassable: a Danny Boyle-inspired dose of self-actualisation.